“Life cant be that bad, I’d think from time to time. Whatever happens, I can always take a walk along the Bosphorus” Orhan Pamuk. 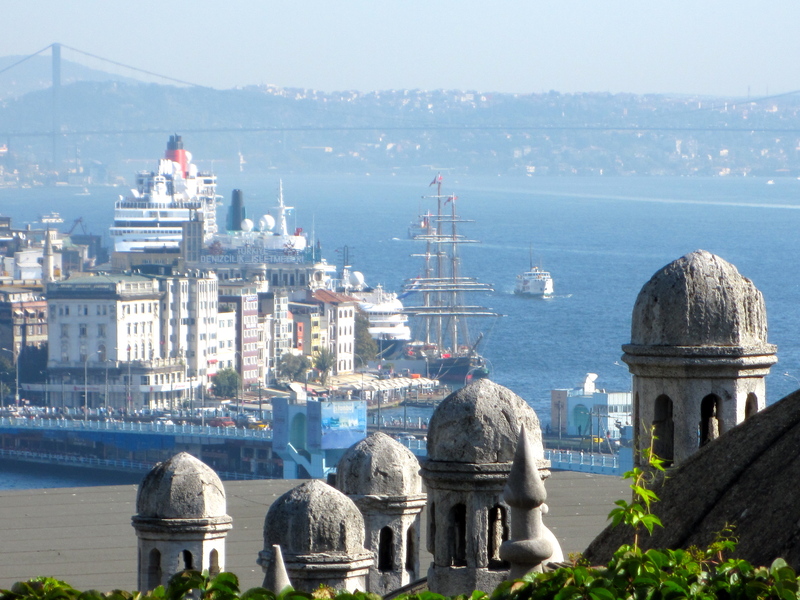 Istanbul is the only city built on two continents – Asia and Europe. 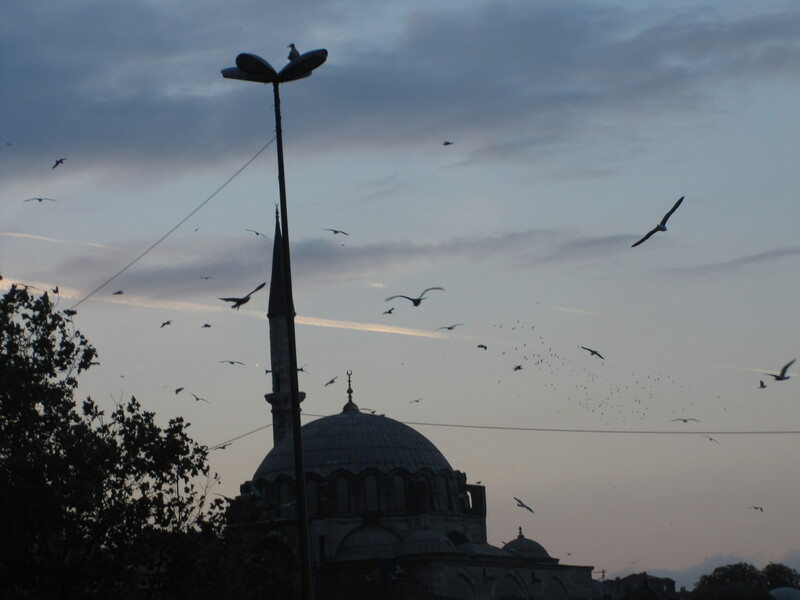 Istanbul was first known as Byzantium . The name of Constantinople came from the Roman Emperor Constantine the Great who rebuilt the city on seven hills, to match the famous seven hills of Rome. 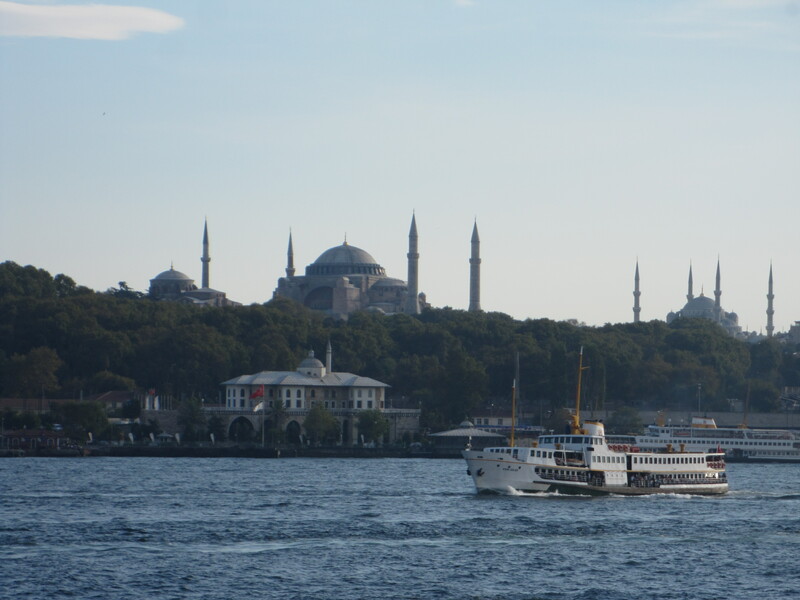 The name finally changed to Istanbul in 1930 when Mustafa Kemal Ataturk proclaimed the Republic. To ensure the usage of the new name, Turkish authorities resent all mail and packages that were sent to a previous city name. 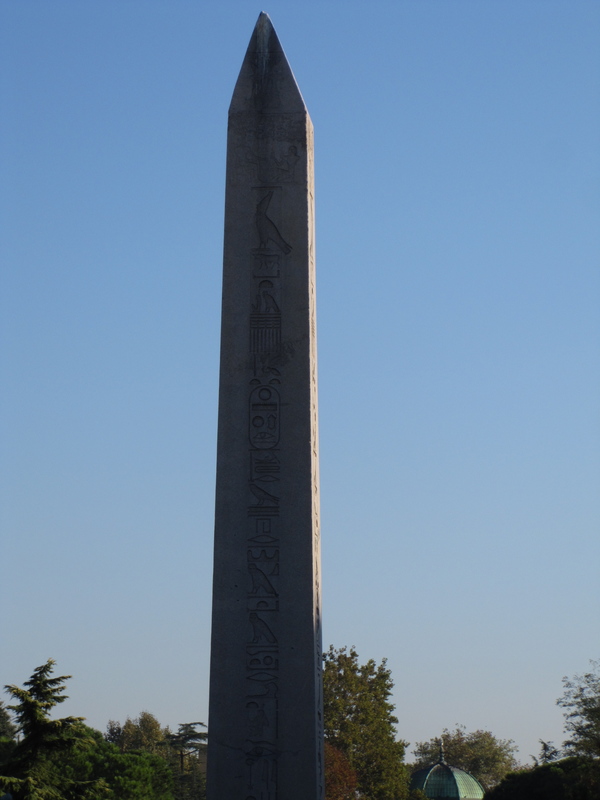 Istanbul has been capital of the Roman Empire, the Byzantine Empire, the Latin Empire, and the Ottoman Empire, yet it isn’t the capital city of modern Turkey, which is Ankara. Istanbul is however the largest city in Turkey. 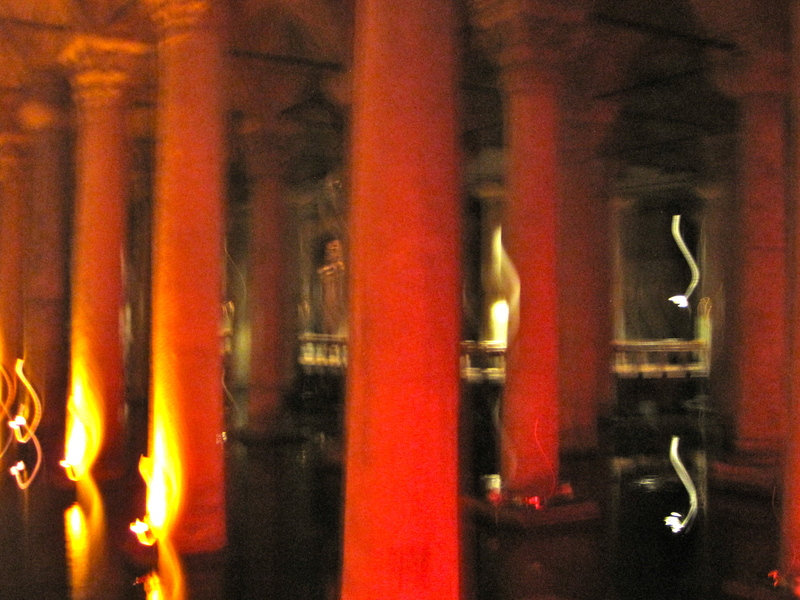 The Basilica Cistern is the largest and most spectacular of several hundred ancient cisterns that lie beneath the city. 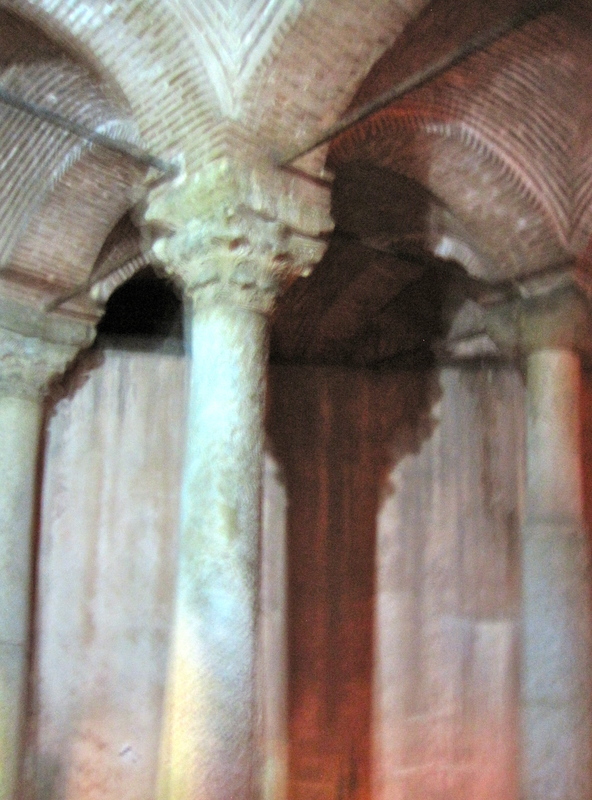 The cistern was built in the 6th century during the reign of Byzantine Emperor Justinian. 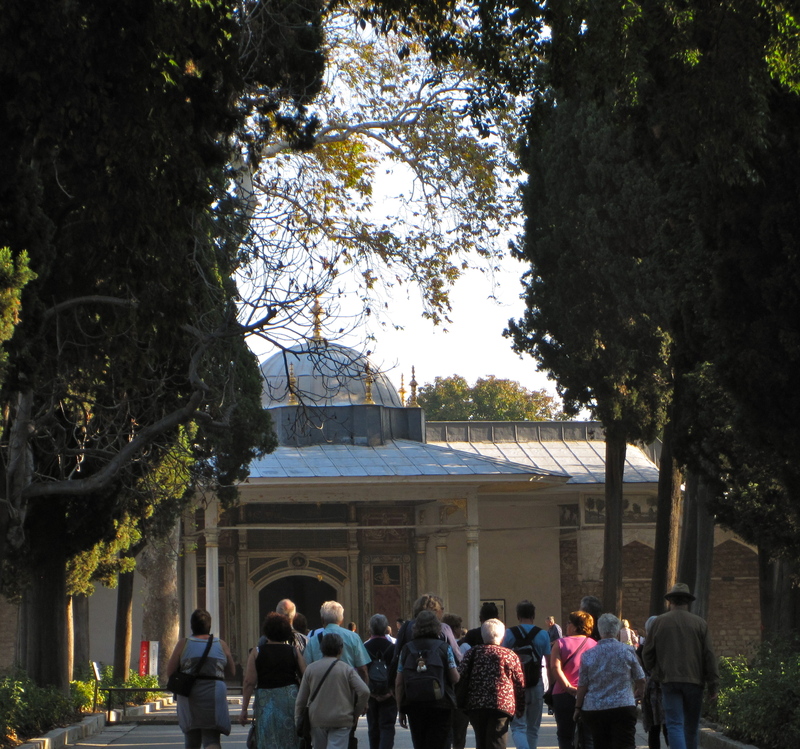 It was used to bring water to the Imperial Palace and later Topkapi Palace. 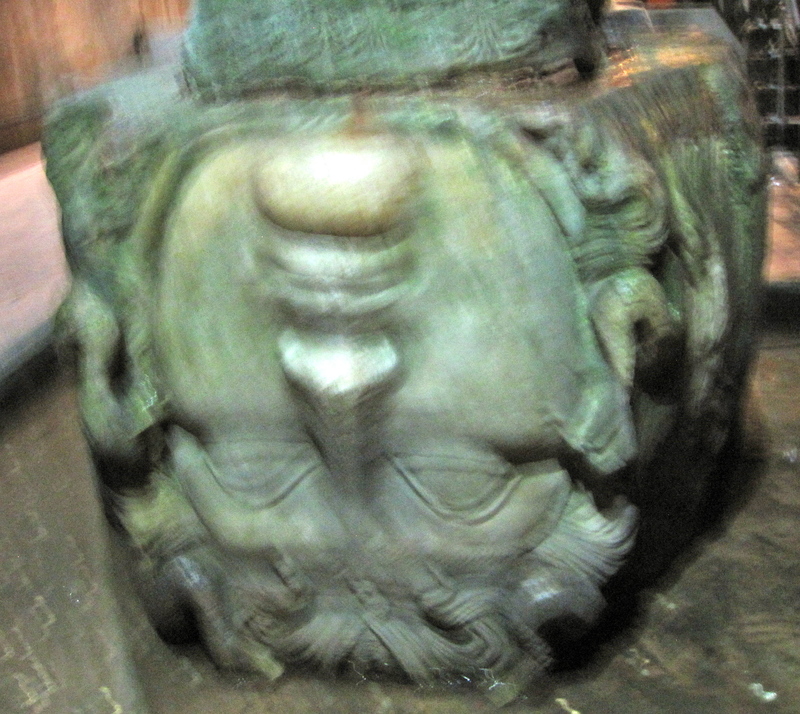 The cistern looks like an eerie underground cathedral with Roman columns and Medusa. It was the setting for the 1963 James Bond film, from Russia with Love. James Bond once again appeared in Turkey more recently in Skyfall. We had dinner at the same restaurant. 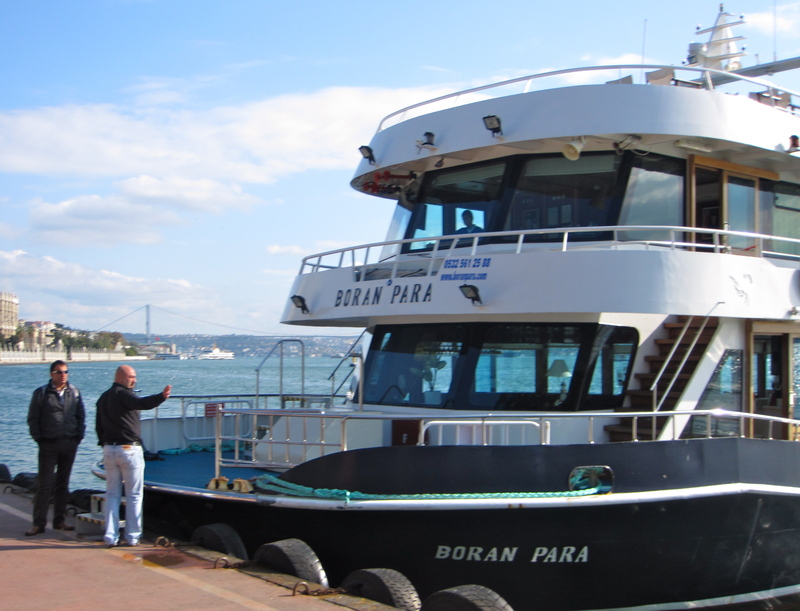 Istanbul has the biggest car ferries in the world on the Sea of Marmara. 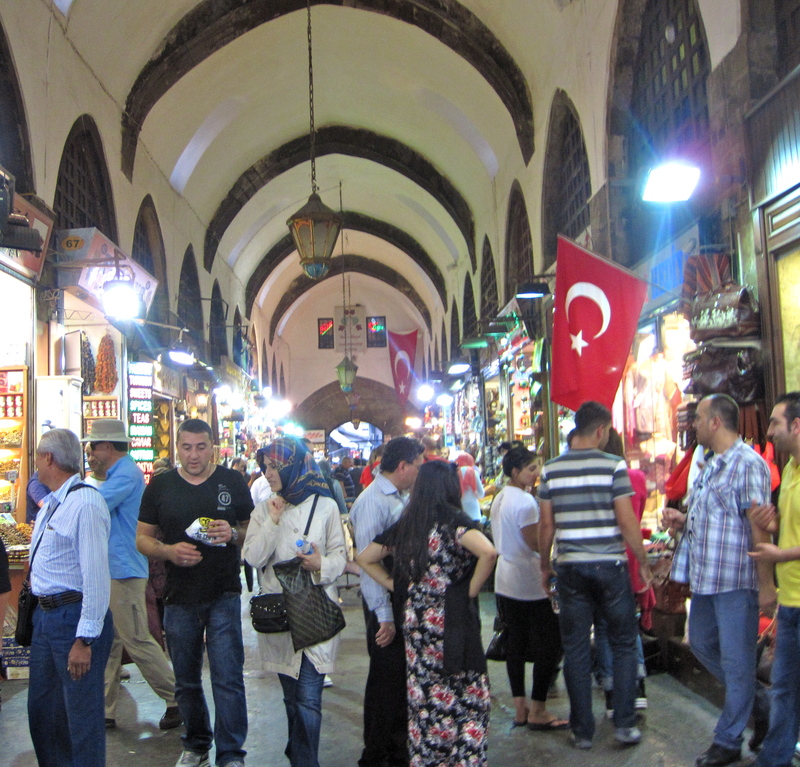 Be physically and mentally prepared to shop in the Grand Bazaar. Be thirsty for you will drink many cups of tea. Wear comfortable shoes because there are over 5000 shops and sixty streets. The street names refer to the different trades and crafts. I must have been on leather jacket street. Be in a good mood to deal with shopkeepers who will try to lure you in. You will have many best friends and marriage proposals. Hone up on your bargaining skills. Allow plenty of time to explore. 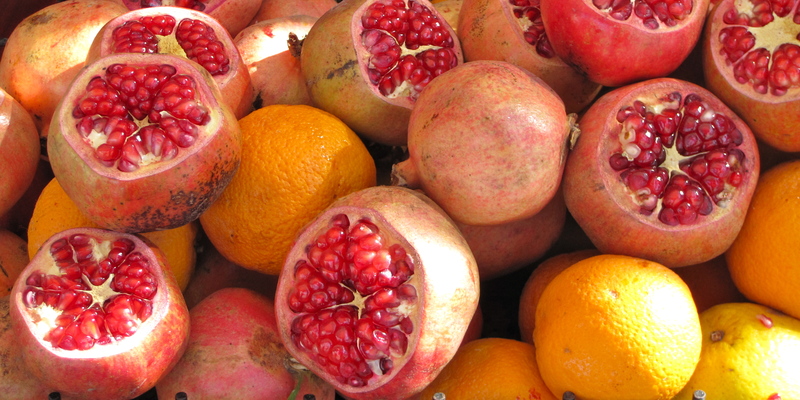 Take advantage of fresh squeezed pomegranate juice for energy. Most important – never forget your luggage allowance or you will spend the rest of your trip wondering how you will get all the leather jackets home. 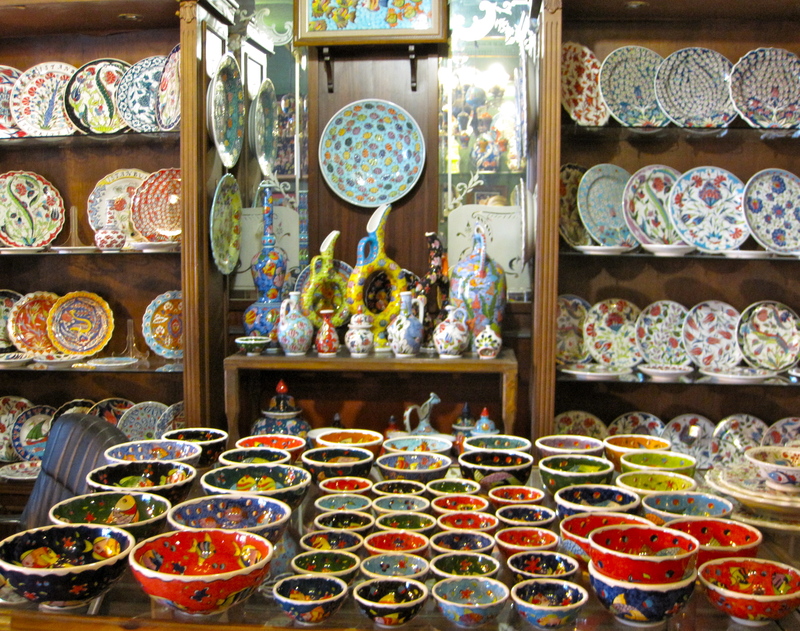 The Bazaar has come a long way from the original construction in the fifteenth century. They now have a website. 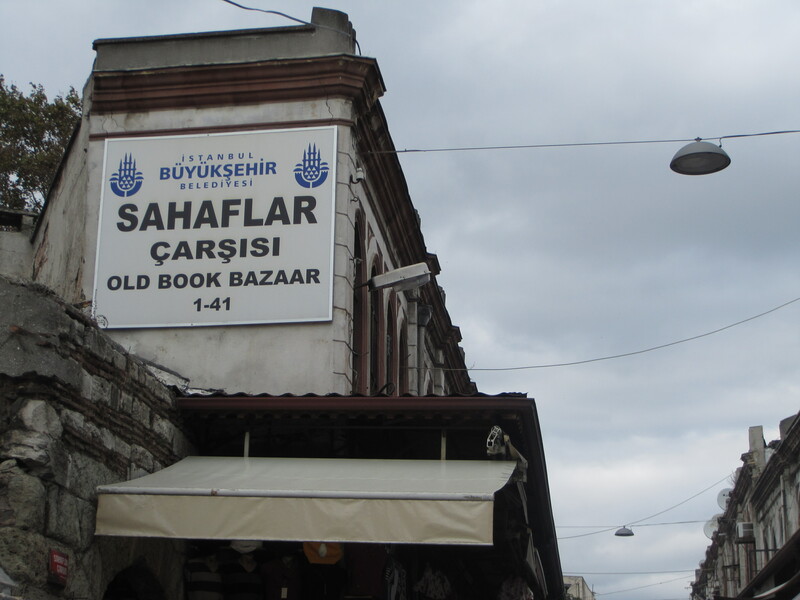 Bibliophiles will want to head towards Sahaflar Çarşısı (Old Book Bazaar), which is found in a shady little courtyard west of the Grand Bazaar at the end of Kalpakçılarbaşı Caddesi. 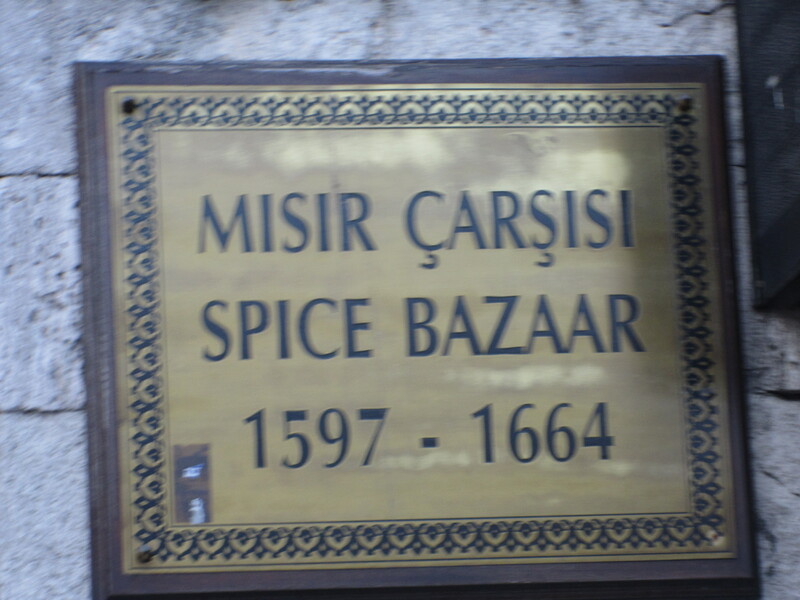 The book bazaar dates from Byzantine times. 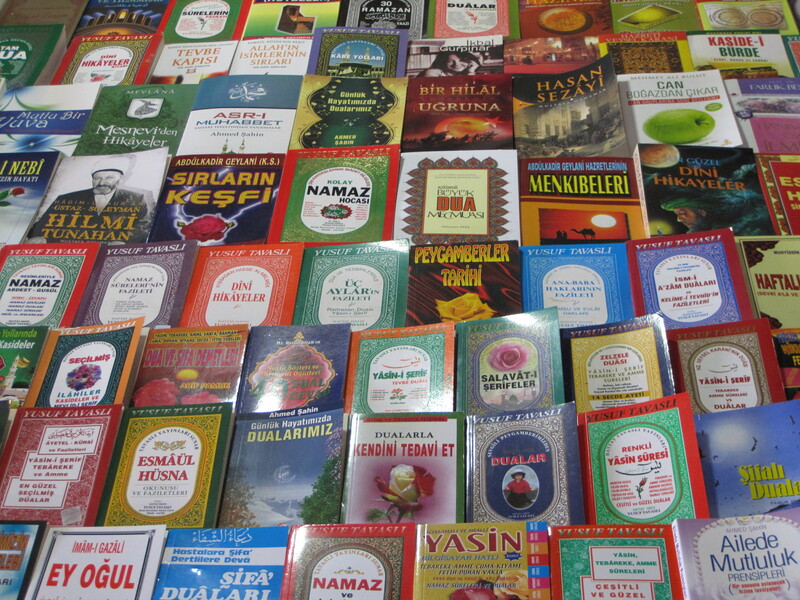 Its stallholders sell books both new and old. 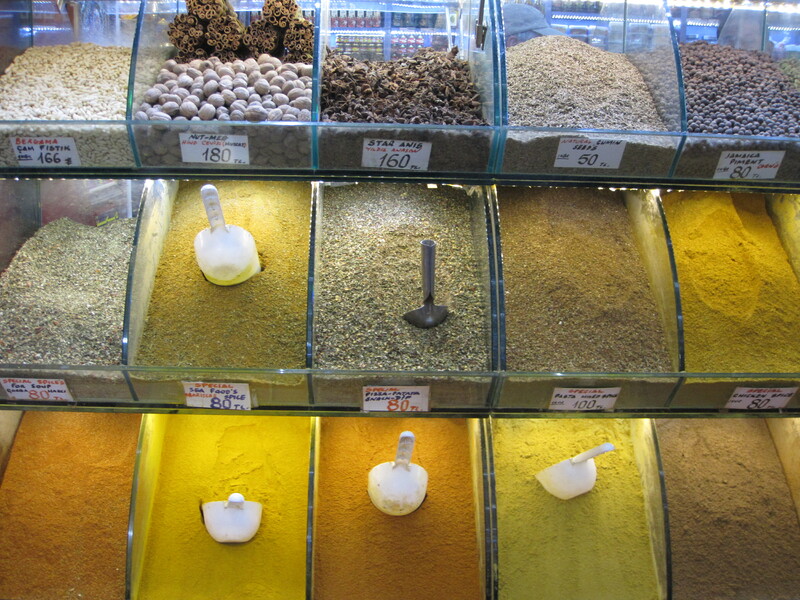 The Spice Market (also known as the Eygptian Bazaar because a few centuries ago it was the market for goods brought from Egypt) was built in the seventh century near the Galtaea Bridge on the Golden Horn. It is across from the ferry docks. 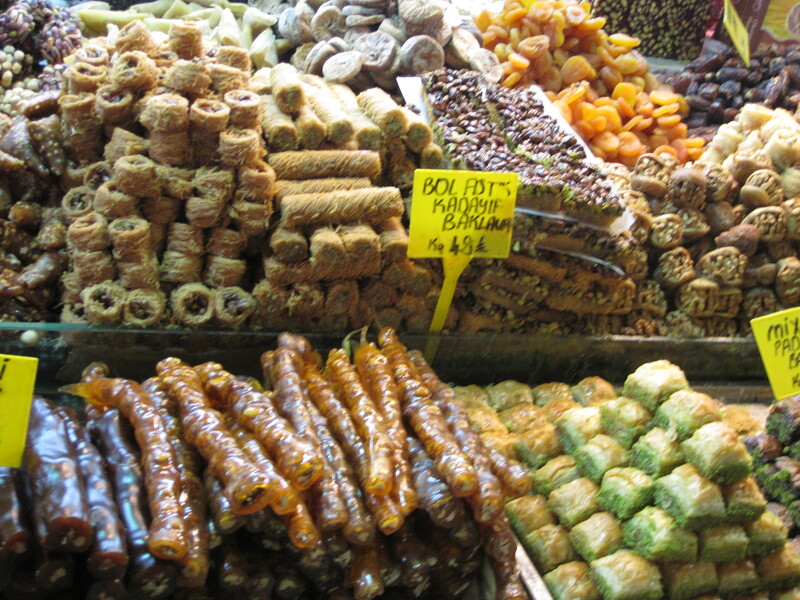 Spices, dried fruits, olive oil, cheeses, sausages, jams, nuts and seeds, teas, lokum (Turkish Delight), sweets, caviar and other edibles fill most of the shops. It has become a lot more touristy in the past ten years. 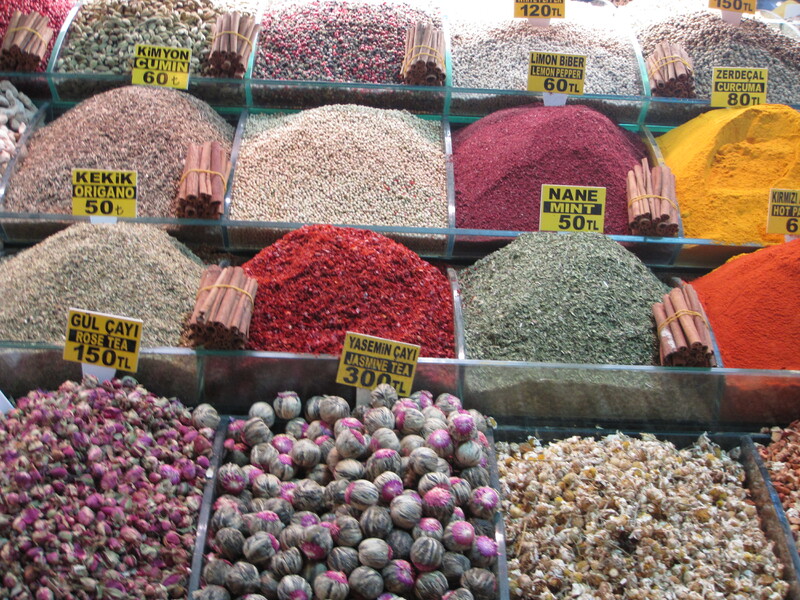 It is not easy to make a living just selling spices and so many other shops are now in the market as well. I should have bought saffron. The Pera Museum has a lovely collection of European, Ottoman and Turkish paintings. They have interesting temporary exhibitions as well. It is closed Mondays. My favorite new painting “The Turtle Trainer” by Osman Hamdi Bey is there. 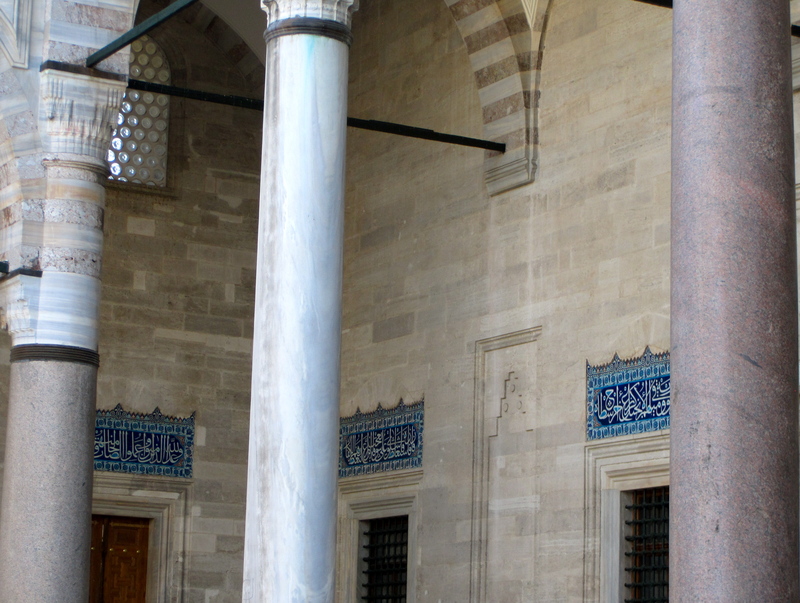 Rustem Pasha Mosque was commissioned by Suleyman’s son in law and built by Sinan. It was completed in 1561 It is located in an old and busy market area. 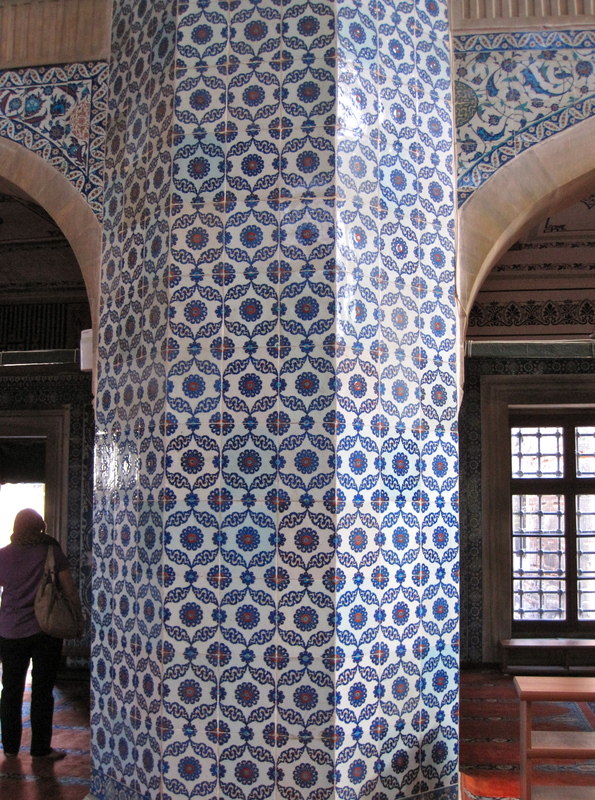 The mosque is known for its beautiful Iznik tiles from the sixteenth century covering entire walls. It is a very special mosque and really lovely inside. The Bosphorous is the biggest canal in the world. 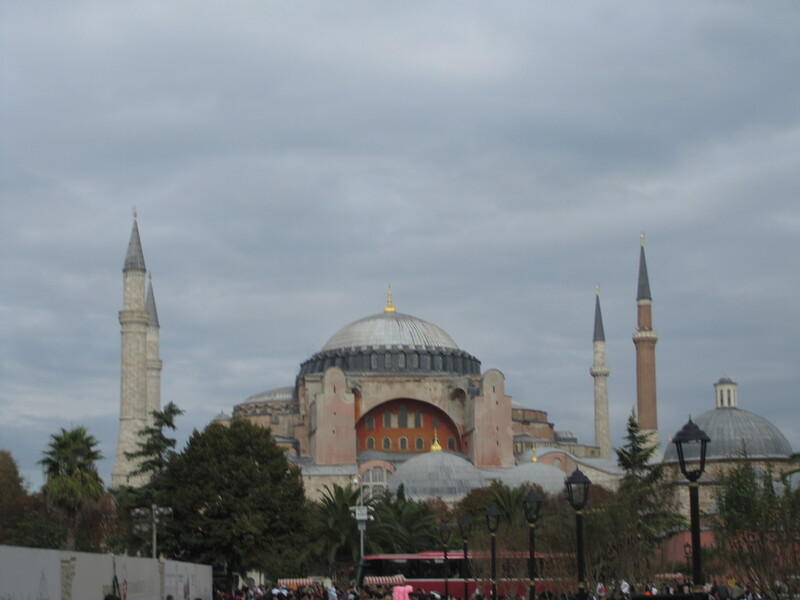 Hagia Sophia is the most important building in Istanbul. It was built in the fourth century and is the masterpiece of Byzantine architecture. 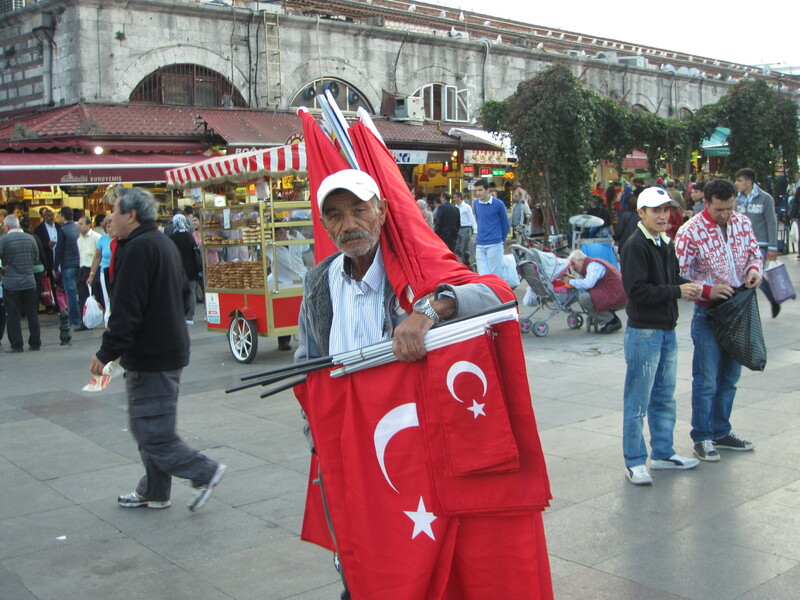 People who live in Istanbul are called Istanbulites. 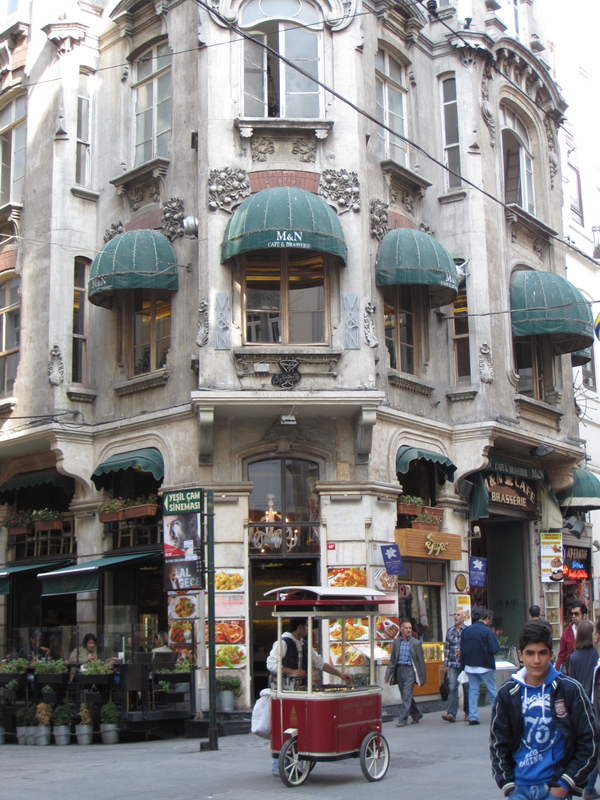 The Asian side of Istanbul is a great place to live if you are a Turkish Yuppie. (T-uppie?) They have cool restaurants and stores, gyms, many Starbucks and a Pinkberry. The historic Sirkeci Train Station is in Istanbul. This was the last stop on the Orient Express “king of trains and train of kings” – between Paris and Constantinople from 1883 to 1977. Agatha Christie was one of the passengers of this famous train. She wrote her novel “Murder on the Orient Express” in Istanbul at the Pera Palace Hotel ( I stayed there) Her book fans always want to see her room. If you ride trains in Turkey, they’ll most likely not be from Istanbul, as all intercity trains from Haydarpasa Station on the Asian side of the Bosphorous have been cancelled until 2014, while the rail line eastward is upgraded. Istanbul has the third oldest subway in the world, built in 1875. 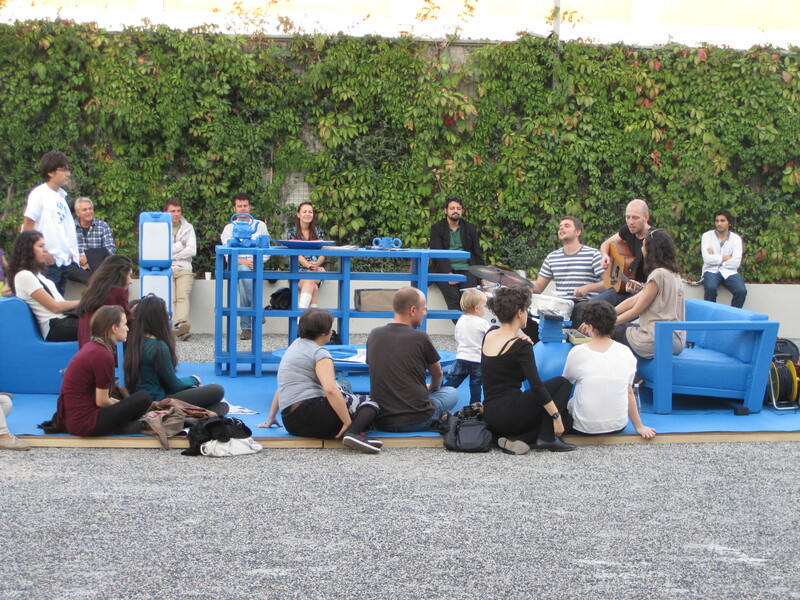 It is 573 meters long and located in the Tunel neighborhood in the Beyoglu district. The London subway was built in 1863 and the New York subway was built in 1868. Istanbul has the only soccer stadium where you can see two continents. Turkish people take their soccer seriously. It is not unusual to see the police ready for a big game. The first recorded international treaty in the world was the Treaty of Kadesh between the Hittite and Egyptian Empires, Hattusilis III and Ramses II, in c.1275 BC. You can see it at the Istanbul Archeological museum. I wish I could say that I saw it, being that I was at that museum, but I was obsessed with the Alexander Sarcophagus. The Golden Horn is entirely in Europe. 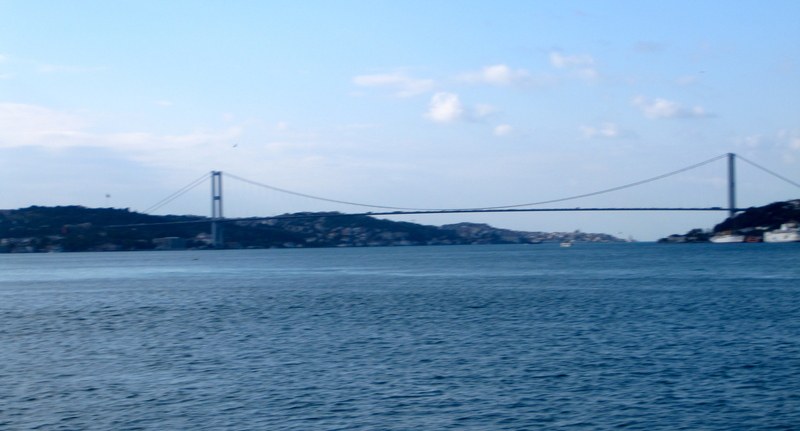 It leads into the Bosphorus, which is the water that divides the two continents, which joins the Black Sea with the Sea of Marmara, which in turn leads into the Mediterranean. 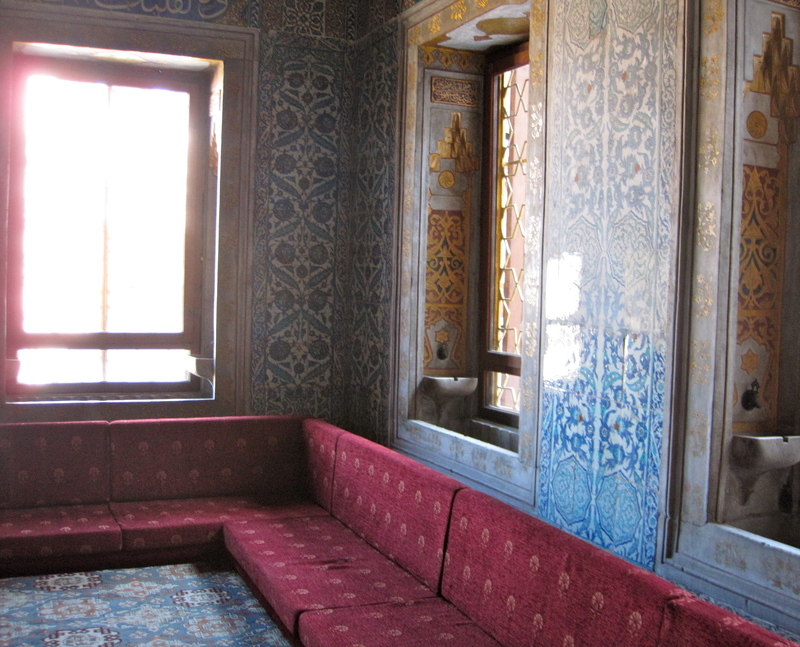 Topkapi Palace was the primary residence of the Sultans for four hundred years. 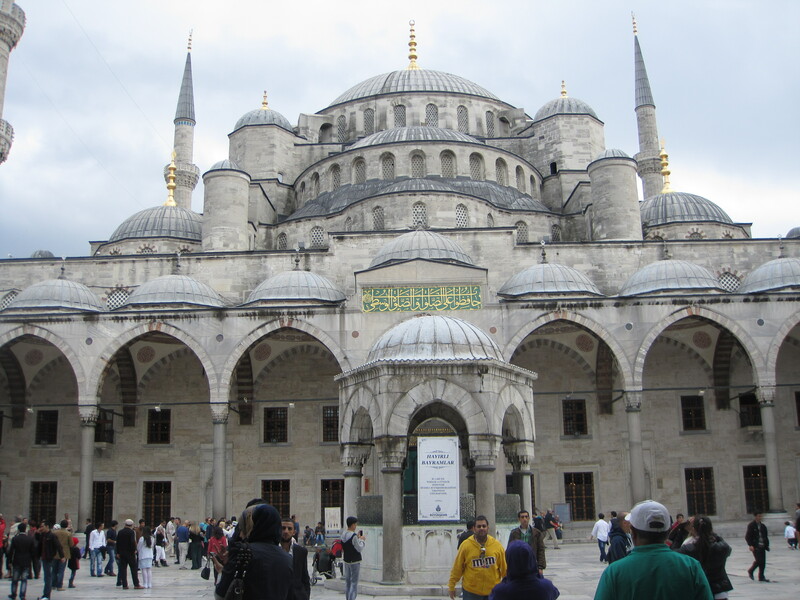 Construction began in 1459 by Sultan Mehmed II and continued over centuries. 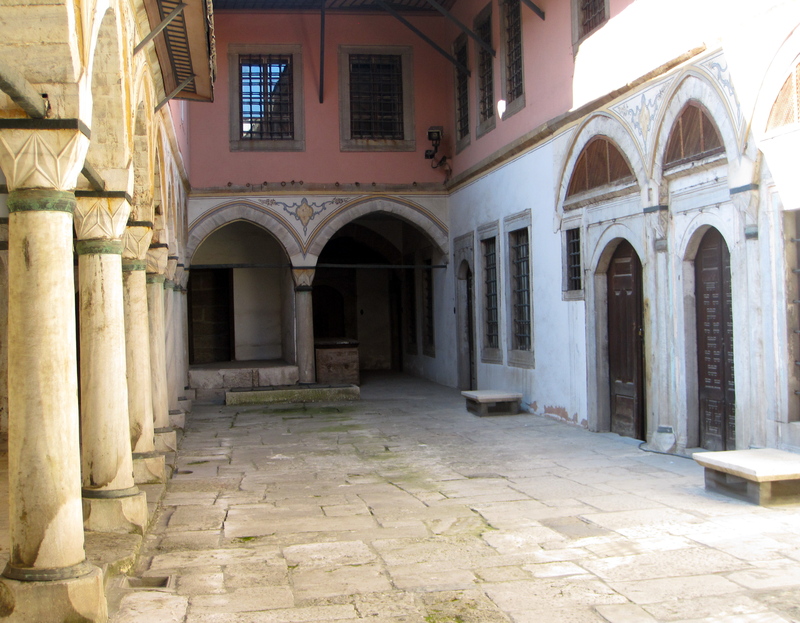 Architect Sinan redid the kitchen quarters in the sixrteenth century. 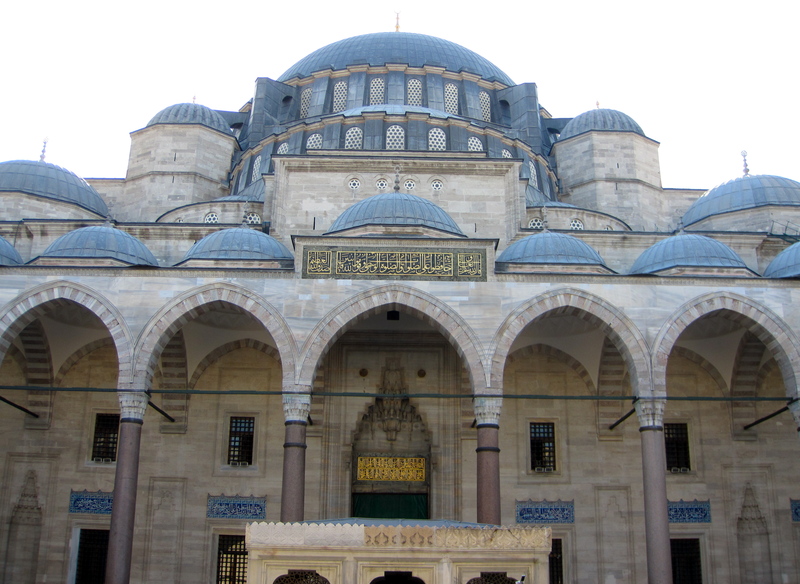 It is a good example of Ottoman architecture. 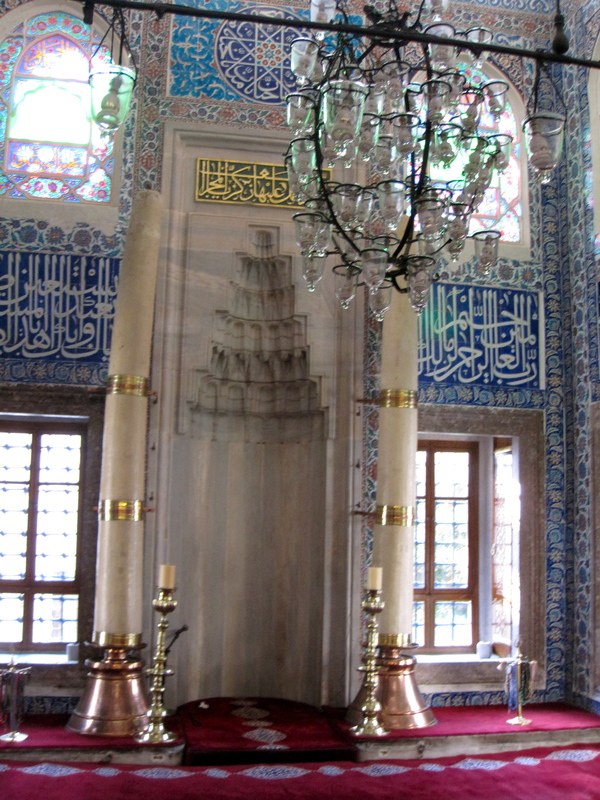 It houses the famous Topkapi Dagger ( made famous by the movie Topkapi) and important holy relics from the Muslim world including Mohammed’s cloak and dagger. 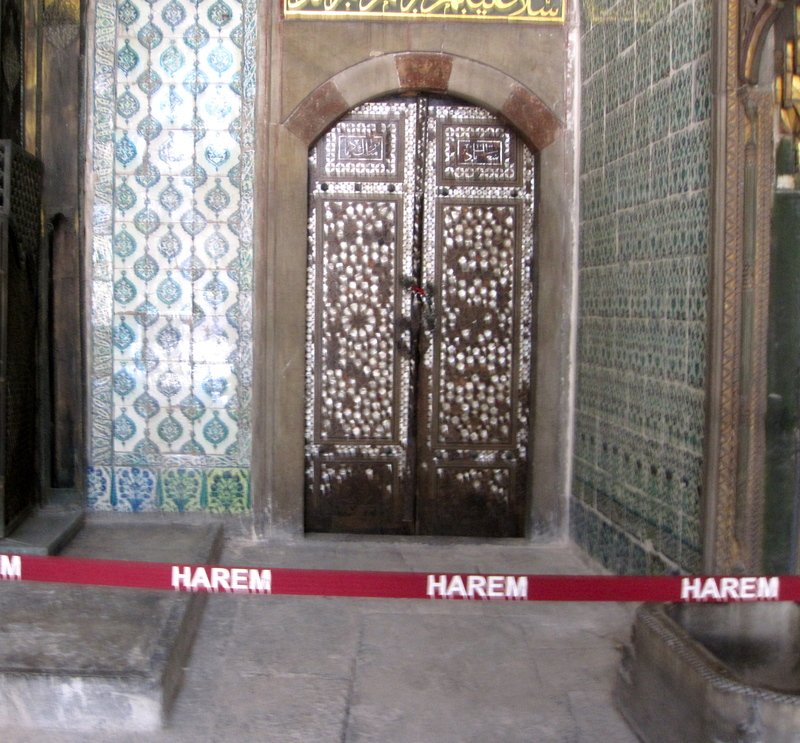 The Harem of the Topkapi Palace has more than 400 rooms and was home to the Sultan’s mother,wives, concubines, children, servants and eunuchs. 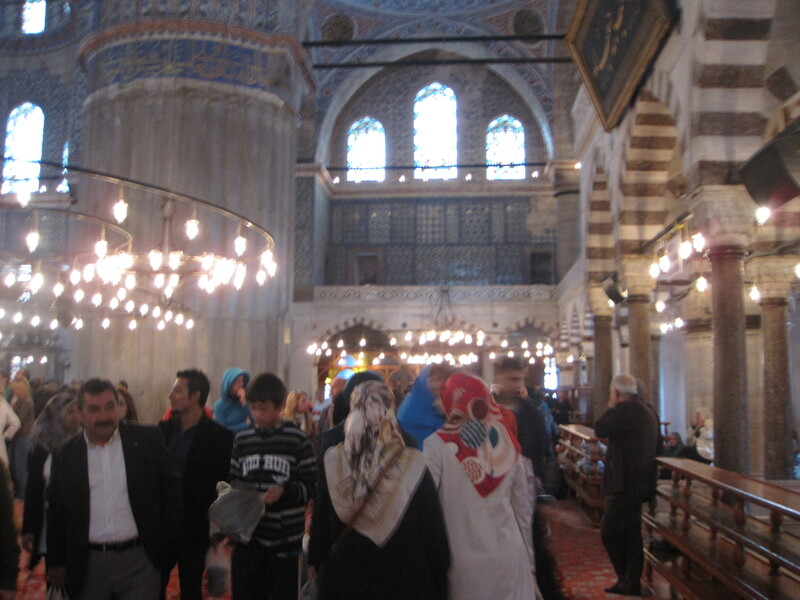 Many of the rooms and features were designed by architect Sinan. 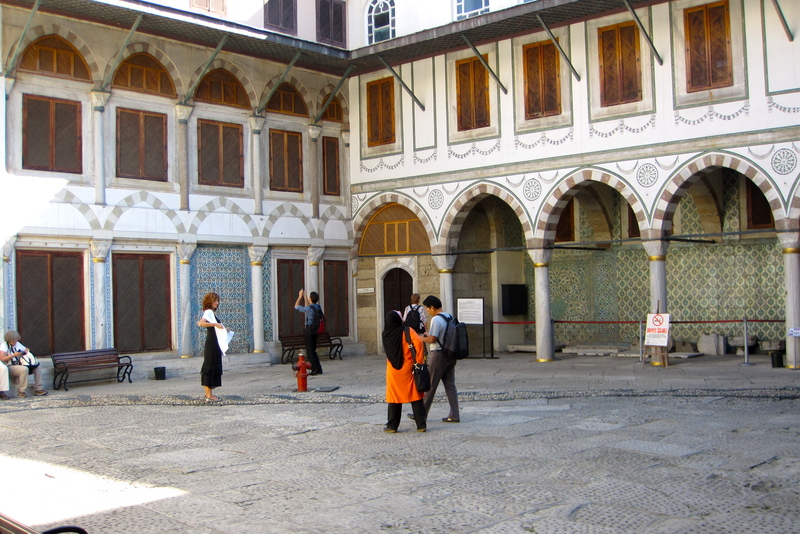 When Istanbul was part of the Ottoman Empire there were over 1,400 public toilets all around the city. At the same time, there weren’t any in Europe. I don’t know what to say about the Dolmabahci Palace after looking at so much beautiful pristine Mosque architecture. 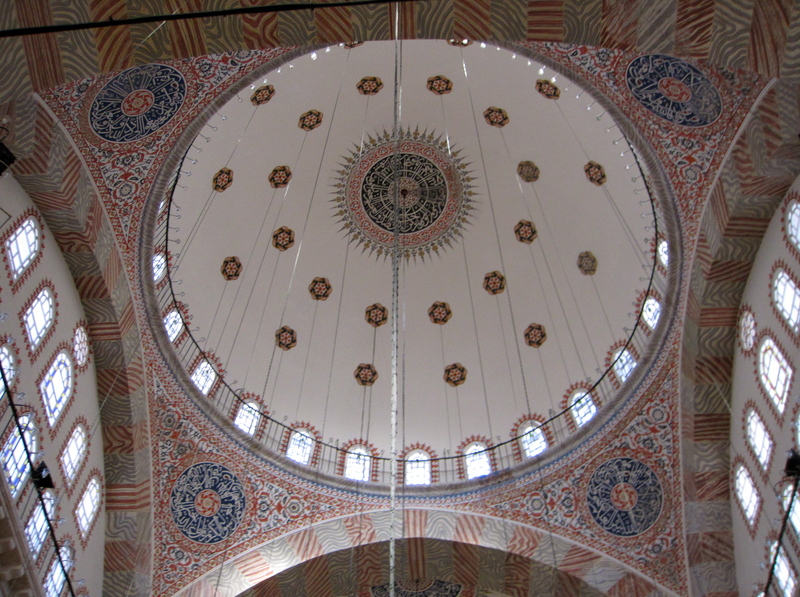 The design could be described as Baroque Rococco Neoclassical Ottoman style. They were not afraid to use too much gold. The Dolmabahci Palace is the largest palace in Turkey and has a beautiful view of the Bosphorous. It cost five million Ottoman gold coins in 1856. 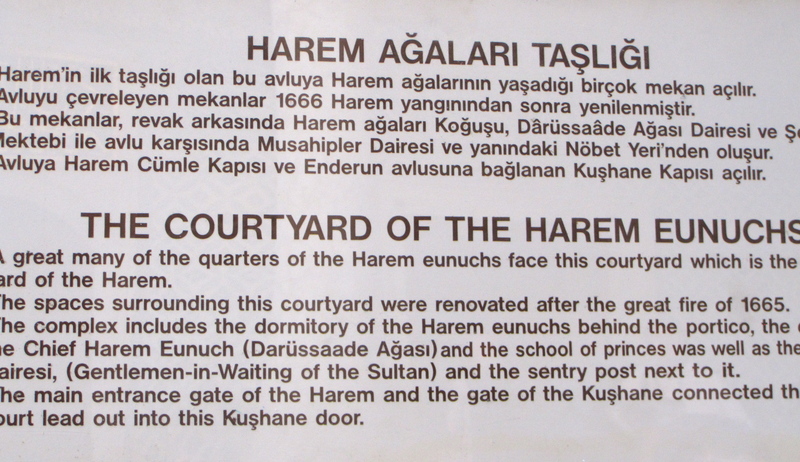 It was home to six Sultans and Ataturk. The world’s largest Bohemian crystal chandelier is in the center hall. Dolmabahçe has the largest collection of Bohemian and Baccarat crystal chandeliers in the world, and one of the great staircases has banisters of baccarat crystal. 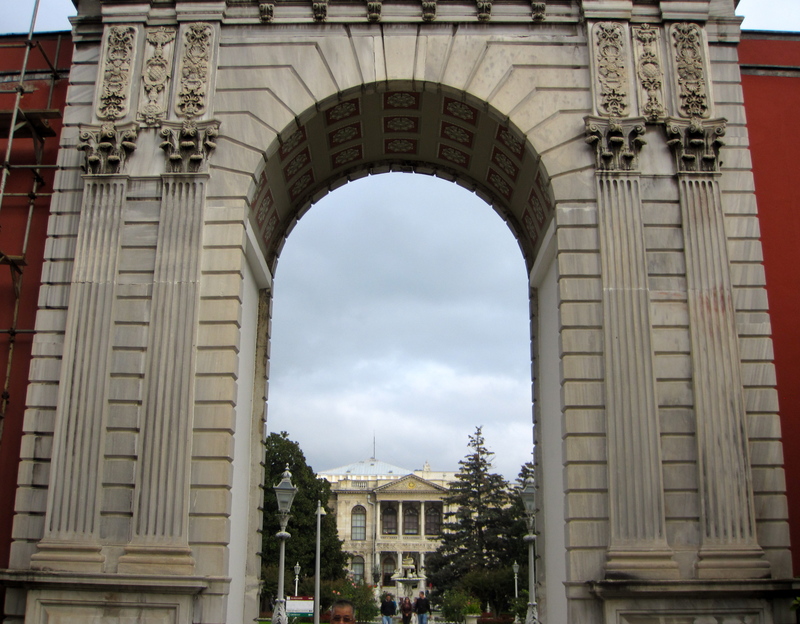 Turks may come to see this because Ataturk died here but they do not like this palace. It was a lot of money to spend at a time when life was not easy for most people. Four bronze horses which decorate San Marco Cathedral in Venice today, were taken from Istanbul (Constantinople back then) by the Crusaders in the 13th century. I took a picture of the stolen horses when I was in Venice if they need evidence. 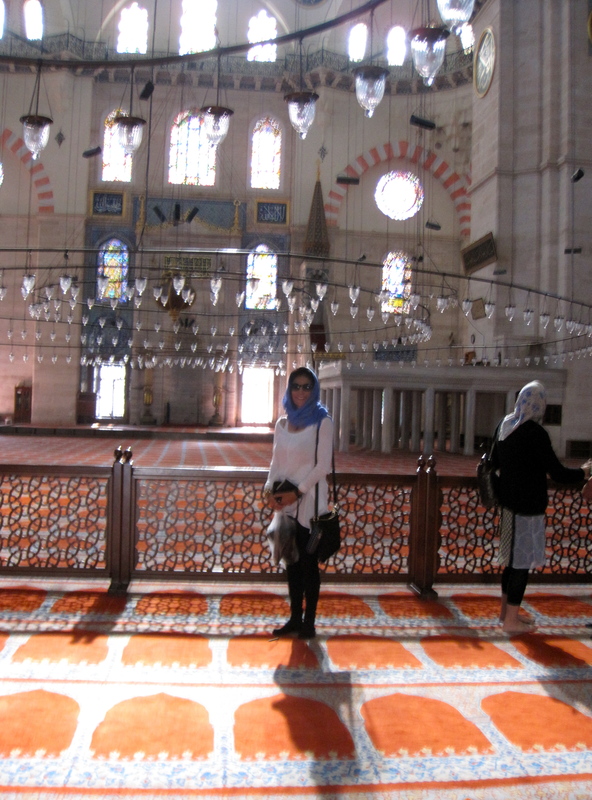 The Blue Mosque is the only mosque in Istanbul with six minarets, which is the largest number you can have in a mosque. 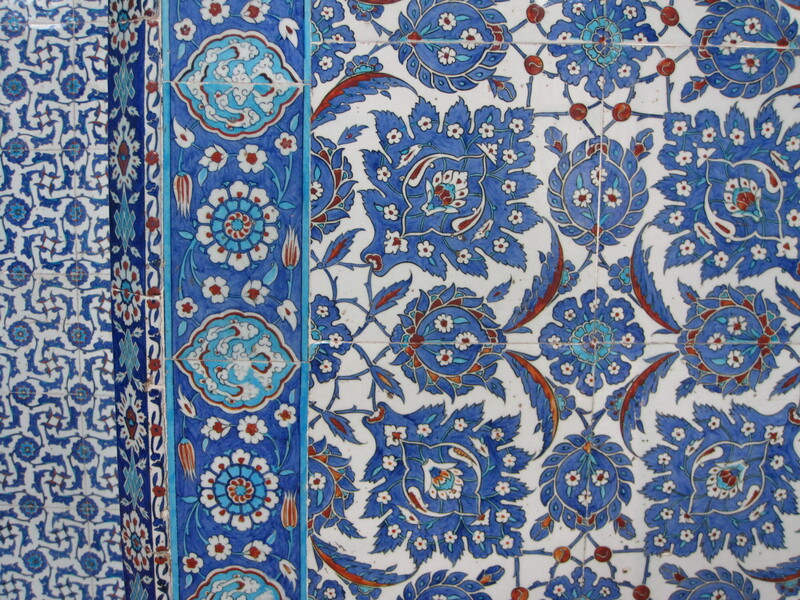 It is called the Blue Mosque because of the 20,000 blue Iznik tiles inside. 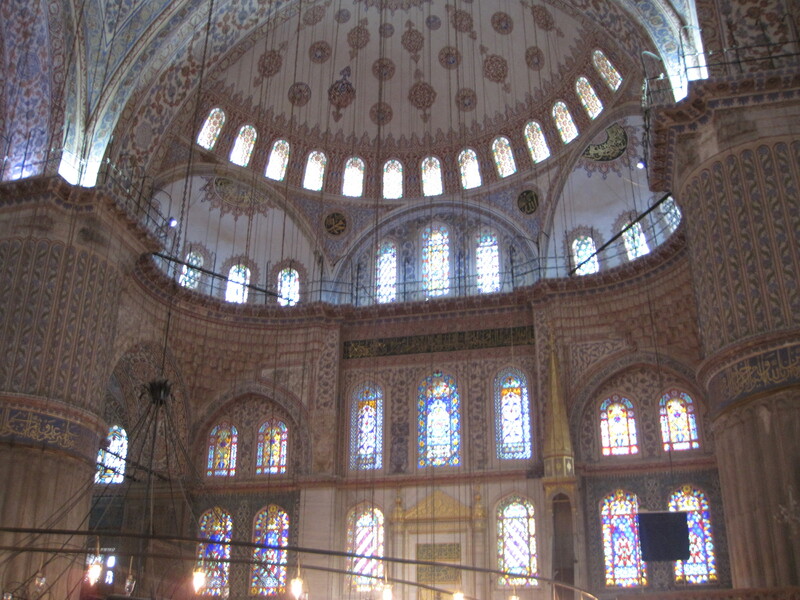 The façade is built in the same way as the Suleyman mosque. It was designed by a student of Sinan. It Is exquisite but a major tourist attraction and always very crowded. You must just stare at the ceiling if you want to feel any spirituality. 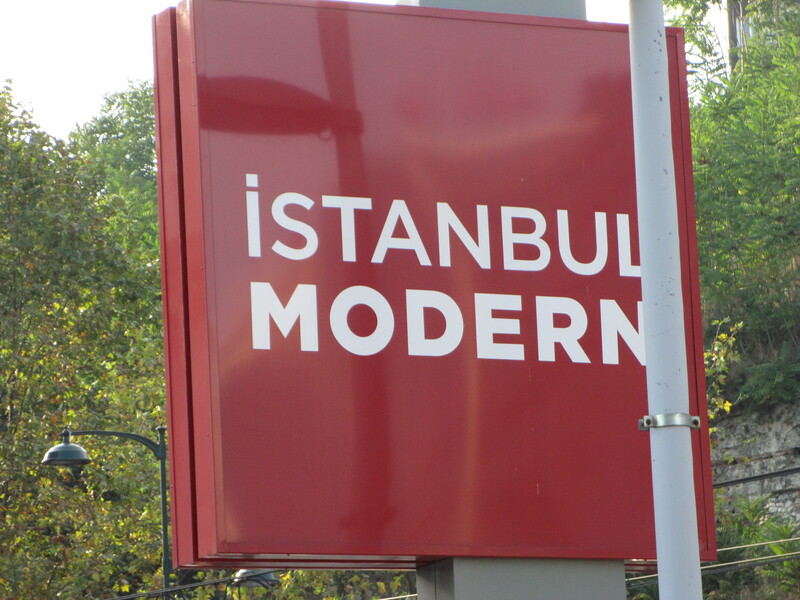 Istanbul Modern is the first and only modern art museum in Istanbul. 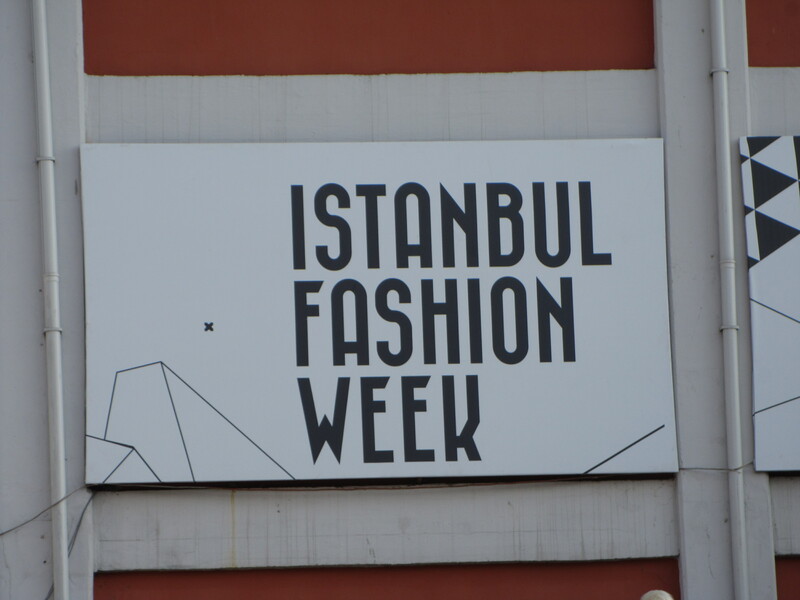 It opened in 2004 and is home to modern Turkish artists and Istanbul fashion week. 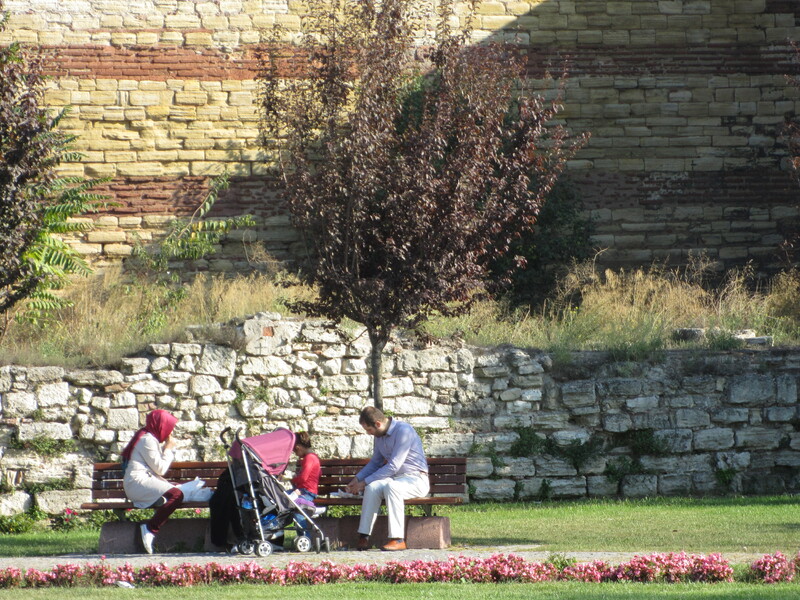 The old city walls are a nice place to hang out. Whatever happens, I can always take a cruise down the Bosphorus.